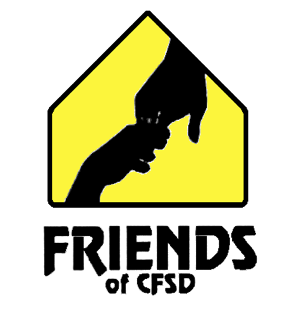 FRIENDS, Foothills Residents Involved in Educational Needs of District Students, is a group of district parents and community members that advocates for the passage of CFSD election issues by providing information to voters. 1.) What is an override? Answer: The term “override” is required by statute and is a little confusing. All this means is that District voters are allowed to approve an increase to our public education budget allotment from the state by the amount of the override percent–in this case 13.3%. 2.) What is this override for? Answer: The budget override that you are being asked to support has actually been in place, for quite a while, approved by our voters every 5 years or so since the mid-1980s. The District is currently depending on this 13.3% additional Maintenance and Operations funding to support our 21st century education program. The District has been using these dollars mainly to support teacher salaries and benefits, but it also contributes to other daily operational expenses. 3.) Will my property taxes go up if this budget override is renewed? Answer: No, your tax rates are not expected to increase. 4.) If our current budget override dollars are not renewed by the successful passing of Proposition 464, what does that mean to our District? Answer: The $3.6 million dollars generated annually by this override will phase out over the next two school years and the District would have to figure out where to cut $3.6 million dollars in costs from its budget. It is hard to imagine we would be able to maintain our current program offerings and class sizes with a loss of this much money from the annual budget. Additionally, the inevitable program cuts would result in cuts to teaching and support staff. 5.) I heard that the State just approved a big increase to school district budgets starting this year. Why do we still need these overrides? Answer: The State of Arizona has cut public education funding by 20.7% since 2008. The amount of funds restored in this year’s budget is only a fraction of that cut. For example, our District has been operating on roughly $5 million dollars less than it was receiving in 2008. In this year’s budget, we got back about $1 million of that funding. Losing $3.6 million would erase any gains from the budget restoration and would be a major setback for the District. 6.) I want to get involved in helping FRIENDS promote the overrides. What are my options? Answer: There are several ways you can get involved to help support your neighborhood schools in this election. You could send around an email to your sphere of friends, endorsing Proposition 464 – and/or advertise your support on your social media platforms. FRIENDS can help you with the language for your emails and posts. You can learn more by contacting FRIENDS Chairperson, Lyssa Holmes or any other committee member listed on the ABOUT US page. 7.) I am an Open Enrollment parent that lives outside the CFSD boundaries. What can I do to help? Answer: Out-of-district families are valued members of our District and, except for voting on the override, can help in the same way our in-District families can. See question number 6 above. 8.) Will this be a typical election where I will get a mail-in ballot, or go to a polling place, or is there something special I need to do to vote? If you have any other questions we haven’t addressed, send us an email at cfsdfriends@gmail.com. THANK YOU FOR YOUR SUPPORT.